Almost everyone has some personality defect or the other. Having personality defects denotes ego. 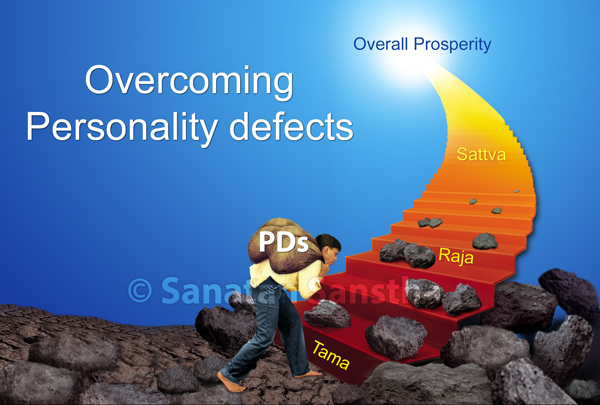 One should make efforts in the following three ways to overcome personality defects. Very often one notices only the mistakes committed by others or their defects. Considering others to be at fault means not being able to perceive the Brahman (God Principle) in them. Instead of paying attention to other’s faults or defects, paying attention to their good qualities proves to be beneficial from the perspective of spiritual practice. We should convert our defects into thoughts or actions related to spiritual practice or God. This point will be understood from the following example. If someone is short tempered, then when angry he should think, ‘God has given me the opportunity to perform spiritual practice so as to obtain Anand (Bliss). By getting angry why should I waste this moment of Anand imparted by God? Then, what will be the difference between me and those not performing spiritual practice?’ On the contrary, we should be angry with our self, thinking that ‘So long as I was angry, I forgot God ’. Even if the defects in personality manifest, we should not think about it and feel sad; for example, if we get angry with someone while performing a task, then we should not feel unhappy thinking ‘why did I get angry?’ On the contrary, we should express gratitude towards God for creating an incident that caused our defects to manifest so that we learn from it and immediately forget the incident and learn to remain in the present. As the impressions in the like and dislike, instinct and desire and temperamental characteristic centres go on reducing, ego too gradually reduces. One of the ways to reduce impressions in these centres is to give autosuggestions. 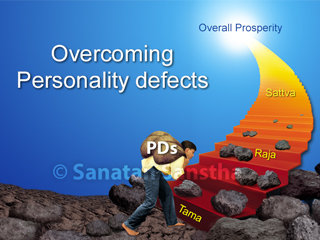 If an individual is making efforts to remove his / her personality defects, it helps in destruction of ego associated with the personality defects. For complete destruction of ego, in addition to the process of personality defects removal, other efforts have to be made consistently. Since Man is not perfect like God is, he is bound to commit mistakes. Each one of us makes mistakes at some time or the other in varying degrees. However, seekers are often not ready to accept their mistakes due to their ego. Not accepting faults amounts to nurturing the ego; whereas, saying, ‘I made a mistake’ is an attempt to reduce ego problem. In the first stage, we should learn to accept our faults, while in the second stage, we should pray for forgiveness (from God) and from the one in whose context the mistake has taken place . This helps in further ego reduction. With this thought – ‘No less than the sustainer of the universe (God) is with me’ – inferiority complex in me will vanish. With this thought – ‘God is supreme and omniscient, and I am a novice in comparison; in fact, I am completely ignorant’ – ego in me will vanish. 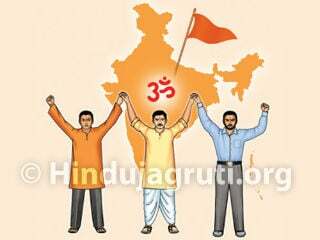 There is a proverb, विद्याविनयेनशोभते, which means a learned individual should be humble. When there is lack of humility, ego steps in and thus avidya (Nescience) is enhanced. However knowledgeable an individual may be, yet he cannot have knowledge like God has. Hence, this shortcoming should be overcome with humility, so that we obtain knowledge as much as God has. The more humble we are towards every individual and objects, the faster is our ego reduction. Learning constantly is a unique characteristic of human nature. However, as some people have forgotten this, they constantly try to teach others. As a result, they feel that they are superior, that others listen to them, and thus their ego gets inflated. As against this, where there is an attitude of learning one is aware of the ignorance within and where there is ignorance, there is no ego. Having an expectation of praise is itself an indicator of ego. If We always have a bhav (Spiritual Emotion), that everything takes place due to the Guru’s or God’s wish, then the desire for praise does not develop. Also, if we are praised by someone and we convert it into learning something about spiritual practice, then the praise does not generate ego. Feeling that ‘I should be respected’ amounts to nurturing ego. Once a priest delivered a good spiritual discourse before Shri Maharaj. 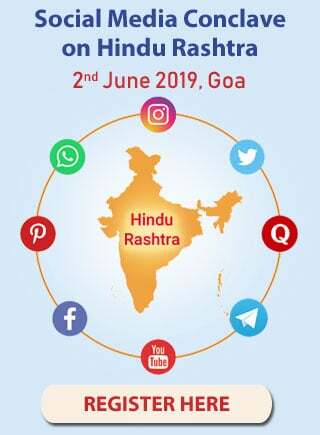 The topic of the discourse was ‘Sakhyabhakti (One of the nine principles of Bhaktiyoga, in which one relates to God as a true friend) as provided in Dasbodh’. At the commencement of the discourse, the priest suggested that no one should offer obeisance to him. After the discourse was over, Shri Maharaj said, ‘In saying, do not offer obeisance to me, you have assumed that people would offer you obeisance. Actually, people who did not like your discourse would not have offered obeisance to you. Thus, you yourself have blocked the path of knowing how many liked the discourse and how many did not. We should consider that, those who offer obeisance do so to the Holy text which is the source of the discourse or to the Saint Who has written it. Also, we should mentally offer obeisance to those offering obeisance. By doing this, we will not develop a subtle – ego that people offer obeisance to us and people too will not be displeased’. Meaning : Why are you praising Kabir. Instead, go to the banks of river Yamuna and see for yourself. Lakhs of Kabirs will not be able to match the love that one gopi has (for Shrikrushṇa). By playing with children, we forget our status at least to some extent. When an Individual frequently speaks about his happiness and sorrow, developments in worldly life, etc. to others, his dehabuddhi (body awareness) is more. By not saying anything about our self to others, attachment to the body automatically reduces. Family members of some seekers do not perform any spiritual practice. Such seekers should not have a bhav that they are ‘seekers’ while interacting with the family members. Instead, they should consider themselves to be like any other member of the family. By thinking, ‘I am a seeker’, we consider our self different from others. This itself is a sign of ego. 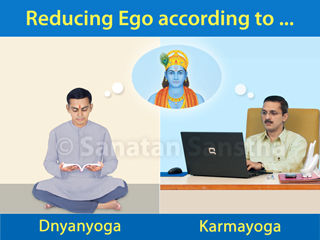 Reference : Sanatan Sanstha’s Holy text ‘Spiritual Practice for Destroying Ego’. 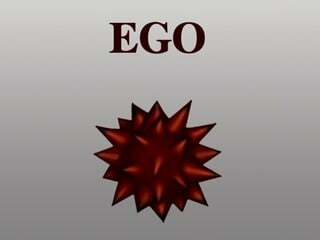 Harm incurred due to high ego and why it is important to destroy ego ?